Between 3 am and 4 am at dozens of temples across South Korea, weary Westerners rise to greet the pre-dawn at the tolling of the Beomjong (temple bell). They have chosen the ultimate cultural immersion on offer to foreign visitors, to live the life of a Korean Buddhist monk for a day, or two, or more. Proving that luxury is really a state of mind, worldly possessions are put to one side, along with all cares. More than 1.9 million people, 1.35 million of them foreigners, have completed a Templestay program over the past decade, arriving to don grey monastic garb, carrying nothing more than a towel, toothbrush, socks, sneakers, and warm clothes. As the monk swings the large suspended timber log into the elaborately decorated brass bell a specific number of times, he is following a 1200 year-old Buddhist tradition in a country that boasts 5000 years of history. Despite attempts by invaders and other religions to erase such practices, Korean Buddhism is flourishing as it invites visitors into the experience regardless of race or religious creed. Rather than a Buddhist indoctrination, visitors are encouraged to “…take some time to rebuild your relationship with yourself, as well as the relationships you have with others”, and to accept disciplines such as the 108 prostrations which require all to perform Ochetuji, to bow and touch the ground with all five points – forehead, both elbows, and both knees. Needless to say, those who have done this describe it as more like a fitness regime. Like many Korean experiences for the uninitiated, it can take a toll on joints and also on bottoms as these programs require long stints sitting cross-legged in the Lotus position. You are warned that the mere act of getting up afterwards can be an ungainly affair for a baby boomer bearing a bad knee or crook back. Before throwing oneself into Templestay, a taste of monastic life can be found at the Templestay Information Center, a five-storey building near Seoul’s Jogyesa Temple and its centre of Seon (Zen) Buddhism. Apart from an information centre on available Templestay monasteries (http://eng.templestay.com), it has a restaurant serving traditional temple food, Balwoo Gongyang. Not only vegan, the food excludes the pungent herbs (garlic, onion, wild leeks, wild onions and asafetida – sometimes called devil’s dung) as well as strong seasonings. 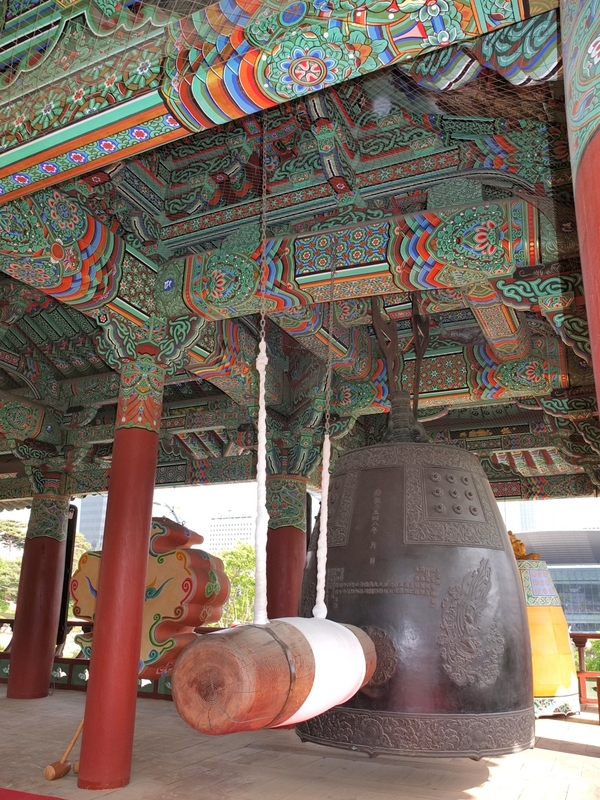 In Seoul the 1200 year-old Bongeunsa temple, had to withstand initial government suppression of Buddhism in favour of Confucianism, invasion and war. In a perfect juxtaposition of ying and yang, old and new, Bongeunsa has prevailed, perched hillside opposite the ultra-modern Coex convention centre and shopping complex. Many visitors opt to overnight in mountain temples, but those on a shorter stay can try Hwagyesa Temple, beside Mt. Samgaksan in the city of Seoul, a peaceful retreat surrounded by mountains. Taking a 300 km/h KTX bullet train to a Buddhist retreat seems sacrilegious, but a two-hour ride and a short bus trip deliver you to Korea’s most famous mountain temple: Haeinsa, a UNESCO World Cultural Heritage site which houses a 13th century collection of teachings on 81,520 wooden sutra tablets, the Tripitaka Koreana. 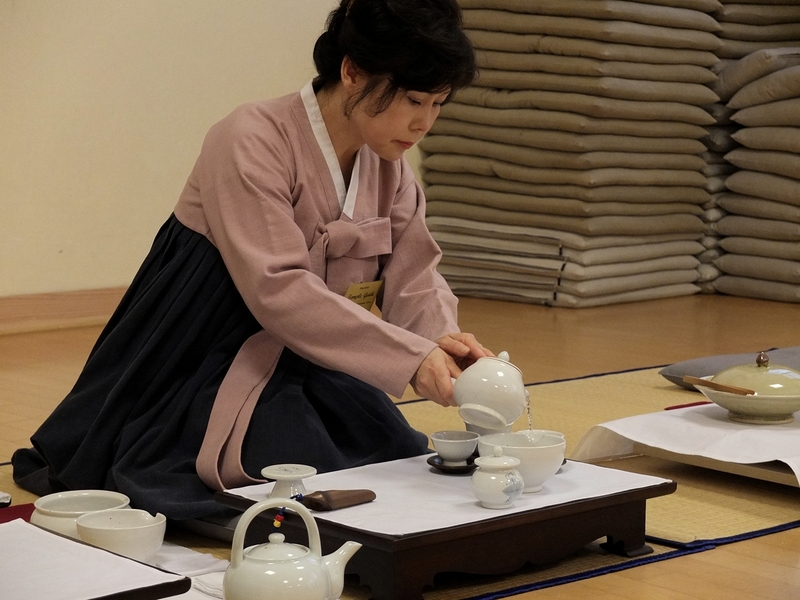 Haeinsa offers a standard two-day Templestay program, a two day freestyle program, and a five day/four night training program titled, ‘Live Like the Wind and Water, then Leave Your Body’. CEO & Chief Wordsmith, Wordsmith Communications Corporation Board Director, International Food Wine & Travel Writers Association (IFWTWA) Chair, IFWTWA Australasia Graeme is an experienced Australian-based Travel Writer/Photographer who specialises in the Incentive and Business Events sector and covers global destinations for Australasian print media. Over a long career in journalism he has lived and worked in Australia, Asia and United States. Graeme was a Commissioning Editor and authored two chapters of the upcoming IFWTWA Press book, “The Spirit of Travel – Travel Writers See Hawaii Through New Eyes”. He also edits and contributes to the IFWTWA Australasia blog – FoodWineTravelTips. Graeme now hosts a weekly radio program, The Travel Writer’s Show, on Melbourne FM radio station J-AIR, also broadcast via the Internet.